Discussion in 'Forum Features, Functionality and Instructions' started by Nautical Gator, Dec 28, 2015. Tell Us About Your Adventure. Dates are important to include in all reports, they help members get an understanding of what months the fish or shrimp are running and in what waterways around the state. Our reports forum if designed so members post what area the fish are running and being caught in, then it's up-to the angler to use the knowledge they learned on our forum to zero in on them. By posting towns, county, waterway, and ramps, are always a good idea, and this will not in no way give away your fishing spot, It will actually have the opposite effect plus, it will only let active members know general locations that the fish are running. NOTE: By posting general locations, only active members that know the waterways will know the water column and how to fish it. And even they will not know your specific spot. Non members will not have access to our reports. Most of the boater traffic you see on the waters, are weekend warriors trying to figure out how to fish the area. 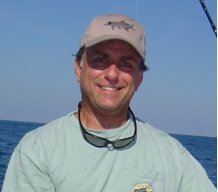 For example, If I posted that I launched at the North Causeway Ramps, Swoop Ramps, or any other location Ramps, no one would know in which direction I went, or at which marker, landmark, or any other geographical location you actually fished, unless they were side by side with me on that day. Get the point! Half the battle is knowing what is running and in what waterway. The rest is easy. The best reports use good journalism techniques. try to tell members - Who, What, When, Where, Why, and How. Pictures always make a report better and humor or a good plot doesn't hurt either! And be sure to take a photo! It's easy to post them! can i use your avatar? you look just like me!